My name is Valentina, I am from Ukraine and I have recently started to preach the Gospel using Internet. Please advise me how to do it properly and efficiently. There are many tips that I would like to share, but I will limit to seven in this article that I consider most important. Internet was created for communication and we, Christians, have to communicate to humankind the most important message – the Gospel.Therefore, we must hurry to understand better this technology and use it to the highest for preaching. If the Internet has extended in the Western countries, here it is just taking proportions.Everything you write now will be read in the future by a large number of people if that will be relevant to them. The church must respond through the Gospel to the needs of people. In the city of Novokuznetsk the church grew very fast because the Christians shared the Gospel to drug addicted persons and so, many were saved and freed from this bad passion. We must fulfill the needs of people through everything we preach in the church or write on the Internet. When people ask and want to know what Holy Scripture says, hurry to respond quickly and completely. This will make them come back with the questions they have to receive solutions. Do not write only what you like, but what people want to know and ask you. Nowadays, if you want to publish a message on the Internet it is not necessarily to know programming languages as PHP, HTML, CSS and others. (If however, you learn a basic course on each of these languages, it will help considerably.) Even for sophisticated web portals, there is no need to write the code for yourself, because there are many systems for content management (Content Management System) made up by professional teams of programmers which improve them continuously. Among the most popular are Joomla, Drupal and WordPress. Depending on the purpose of the page, blog or portal, it will be chosen the content management system. Take time to learn how to work with the chosen system.I chose WordPress and I am looking every week to learn something new, to know the system better. Being curios, I looked at Drupal and Joomla to get an overview.But I chose to use WordPress, which is extremely simple and efficient. Our life consists of events. 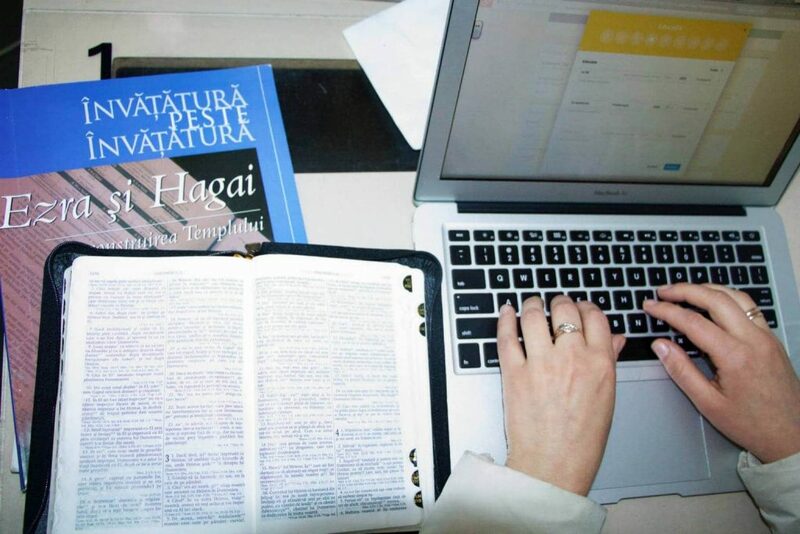 If we anticipate the events (when they can be anticipated), we can benefit most from them.In summer 2008 I found out the theme of the first lesson to be taught in the schools from Moldova.I made a plan for teaching the lesson and I’ve published it on the portal in August. To the end of the month, it was the most visited article and I recorded a new record of visits with it, because teachers found the lesson, used it and recommended it to their colleagues. Many teachers thanked me for that lesson.Seek to anticipate the events and to publish materials on the Internet that will fulfill the needs related to those events. The extreme begins when you think you’re perfect in what you do and you do not see the need to learn from others. Therefore, subscribe via RSS to Internet pages, blogs, portals which you consider the best in your field.Learn from everything others do, the way they write, the topics they touch, etc. Seek to understand what makes them be the best and do your utmost to become the same. Write to build, not ruin.Write to share the message of the Gospel. Internet allows people to express themselves without identifying the person, or using another name.It may be that those who smile to you when you meet face to face and ensure that they are your best friends, to attack you the most brazenly way through the Internet and even on your blog to post comments under different names by which they attempt to intimidate or discredit you. Do not be intimidated.If they are right, repent, but if they are not right, they are not worthy of your attention.Adopt a regulation for your portal or blog and do not forget to mention there that you will not allow any attack on the person and the articles or comments which make personal attacks will be deleted. Do not miss the unique opportunities of spreading the Gospel through the Internet.Start today and God help you.